This is the second installment in my tale of two properties series. Vineyard at time of purchase. More weeds than vines. 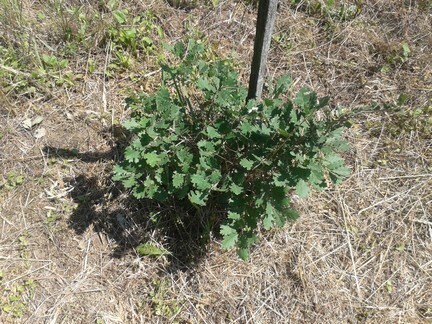 Most of the vines were of the variety Piros Szlanka, a central European grape which makes a flavorless wine, mostly used to extend other red or white wines. Piros Szlanka is of low quality but high yields (up to twice the yield of a good Pinot Gris on the same amount of land). So in effect, it not only produces a low quality wine, but produced a lot of it (probably the main reason it was popularly planted in this region during communism). We plan to stress quality over quantity, so the Piros Szlanka had to go. 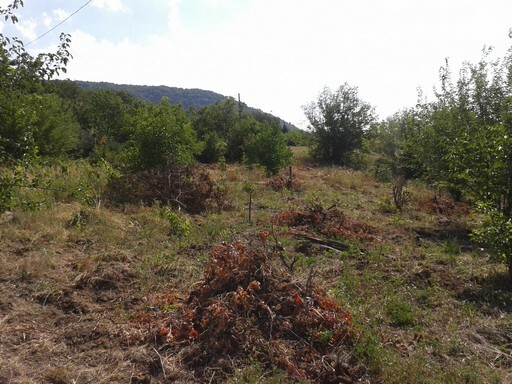 Much of the land had been encroached by a newly forming natural forest of nut and oak trees. I like trees. And there is enough land for both forest and vines to co-exist so these small trees were marked with stakes so they would not be damaged. The new vine planting will work around them. 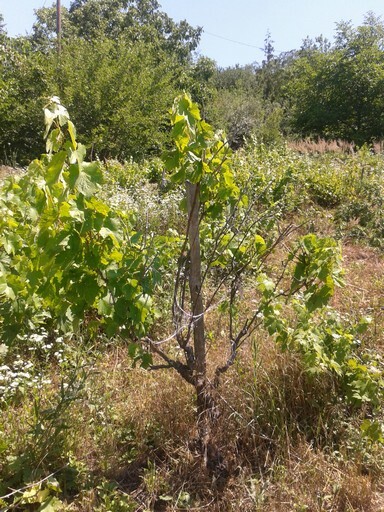 Young oak tree on the property. These were flagged so they were not removed or damaged while the vines were removed. I will describe in more detail the paperwork and bureaucracy needed to remove the existing vineyard in a later post. 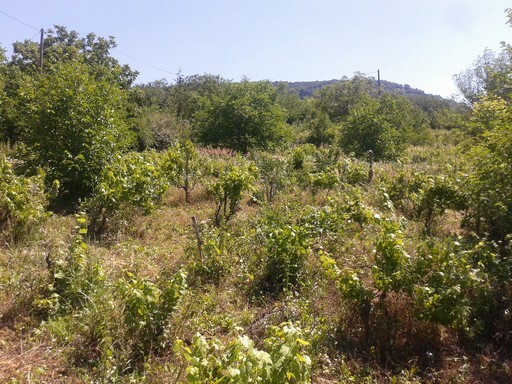 Suffice to say, 6 short months after officially requesting to remove the existing “vineyard”, we received the final necessary permission to remove the old vineyard and replant. 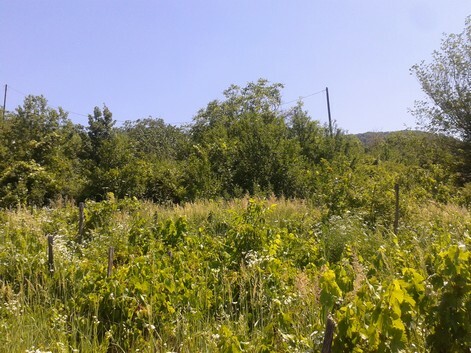 The property before removal of the existing vines. Same view, showing the vines removed last summer. The vines have been stacked for drying and later removal for burning in a biomass oven for heating. 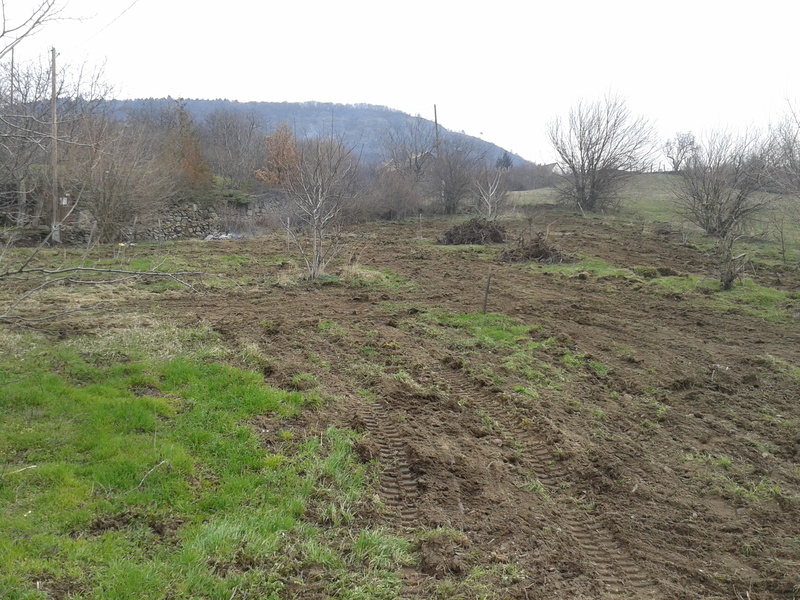 Property cleared and ready for planting. You can see that we left all the existing trees standing. The new vineyard will be planted with respect to and around these trees. 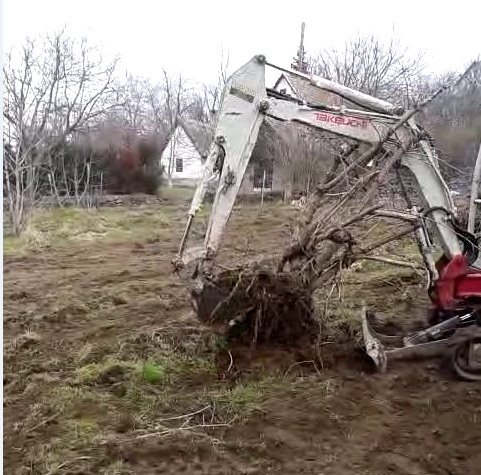 This was a lot of work, mostly done by tractor and backhoe. In my following posts, I will show our re-planting progress and describe some of the bureaucratic paperwork comedy encountered so far.